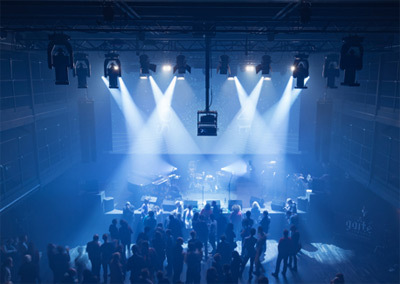 Amadeus, based in France, one of the premiere manufacturers of high-end sound reinforcement systems and custom studio speakers, has announced the install of the company’s newest array speaker, the DIVA M2, at the prestigious Paris Gaîté Lyrique Theater digital arts and modern music center. Initially equipped by Amadeus for the theater’s 2011 re-opening with the company’s EtherSound-enabled speakers, DIVA XS and XL Series, among other Amadeus models, La Gaîté Lyrique decided to upgrade its Front of House speaker system in the facility’s Large Hall and naturally has chosen the newest Amadeus DIVA M² array speakers (pronounced ‘M Squared’). Along with the fourteen DIVA M² loudspeakers, Amadeus has also installed four new DIVA M² SUB bass complements, paired with Lab.gruppen amplifiers and LAKE controllers. 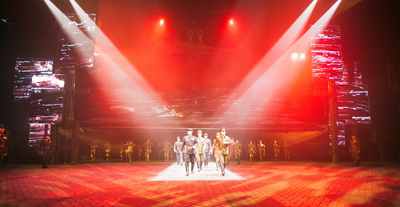 Over fifty Amadeus speakers installed featuring ‘3D Sound’ control, nearly seven hundred actors and twenty giant 30-foot soft LED screens create a re-enactment of the ‘Xi’an Incident’ commemorating the event’s 80th anniversary. Amadeus, based in France, one of the premiere manufacturers of high-end sound reinforcement systems and custom studio speakers, has announced a 50-speaker install with ‘3D Sound’ control. The sound system compliments twenty 30-foot giant ‘soft LED’ screens and performances of 700 actors in China’s first live event dramatizing the historical 1938 ‘Xi’an Incident’ – which is credited to have created modern China. The State-run theater is located in the exact location where the ‘Xi’an Incident’ happened. Amadeus worked with its distributor, Guangzhou Sign King ET Co., Ltd., Swiss-based company Sonic Emotion, and British manufacturer of digital mixing consoles DiGiCo to design and install the sound setup within the massive new building. The recently opened La Seine Musicale music complex just outside Paris’ center is a marvel of performance spaces. Amadeus, based in Paris, one of the world’s premiere manufacturers of high-end sound reinforcement systems, was chosen to equip the two main concert halls of the Seine Musicale building complex with their specially developed speaker systems. As the sole speaker manufacturer chosen for the momentous project, Amadeus also installed their speakers in multiple rehearsal spaces throughout the new music center. La Seine Musicale is a large-scale cultural public infrastructure, over 36,000 square meters, committed to host every type of musical performance. The building houses two main concert halls, five recording studios, and several rehearsal spaces – the main ‘Auditorium’ has seating for 1,150 guests. 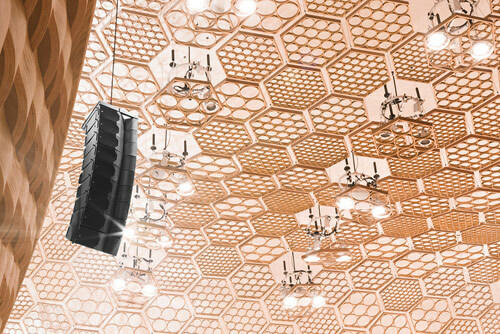 This hall is the symbol and the signature of the building with acoustics designed by acousticians Nagata Acoustics and Jean-Paul Lamoureux, and features a speaker system custom designed by Amadeus. 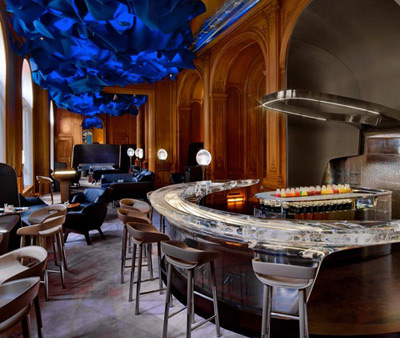 With Paris Fashion week just ending, the historic Plaza Athénée Hotel in Paris debuted its new immersive speaker system install in their luxury Bar du Plaza Athénée featuring Amadeus loudspeakers. The new speaker system is designed to create a 4th dimension in sound for its modern, comfortable and stylish surroundings. Designed by scenographer Etienne BERARD from Atelier A/V, the Amadeus system features 25 specially placed speakers including custom “SLIM” versions of their ML 8 subwoofer under the bar’s seating. The well-known French designer, Patrick JOUIN, designed all the custom furniture for the bar. Some of the Paris Fashion Week festivities were held at the hotel, and the Bar du Plaza Athénée hosted celebrations for fashion luminaries and models with a sound quality to match the hotel’s other gold-standard amenities. 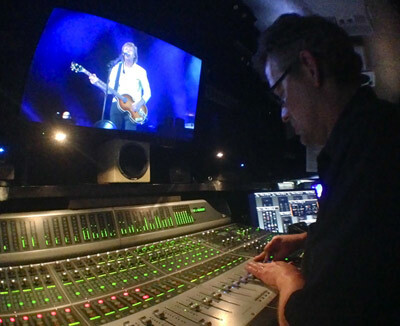 During the 2015 Lollapalooza festival, mix engineer Chris Shepard test drove one of the first Dangerous Music 2-Bus+ summing amps with Paul McCartney and Metallica in the American Mobile Studio truck. Shepard was anxious to hear the new integrated processing capabilities, especially the unique Paralimit, as well as the custom transformer control called ‘X-Former.’ “The 2-Bus+ is my new secret weapon,” says Shepard, owner of American Mobile, his company for over 20 years specializing in mobile music recording and live mixing for video streaming. Shepard and his American Mobile team mixed the live web stream of Lollapalooza for Springboard Productions and Red Bull TV. Paris, France – December 22, 2014 – Through the diligent work of their South Korean distributor, Marshall Pro Sound, Inc., Amadeus speakers are now the centerpiece of sound for the Korean Congress in the general assembly hall within the National Assembly Hall building, located in the heart of the country’s capital of Seoul. 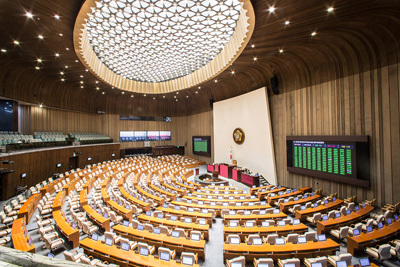 During the past 10 years sound requirements for the entire The National Assembly building have been managed by Marshall Pro Sound, Inc. Because of the general assembly hall’s environment, the new system required both large hanging speakers and very compact yet high SPL speakers at the podiums. Marshall Pro Sound felt the Amadeus DIVA XS speakers were the perfect solution for the main hall, and Amadeus PMX suited the personal monitoring needs at each podium. The 28-speaker install at the National Assembly Hall is one of the largest and most prestigious in Asia for Amadeus. Amadeus, based in France, one of the premiere manufacturers of high-end sound reinforcement systems, has announced that their highly-anticipated ML 28 subwoofer is now shipping and available through dealers in Europe and Asia. The ML 28 subwoofer was premiered at the 2013 Musikmesse Prolight + Sound Frankfurt Expo. The new subwoofer, fitted with dual 18-inch speakers, combines a set of unique acoustical properties with high-timbral precision and extraordinary power handling capability. 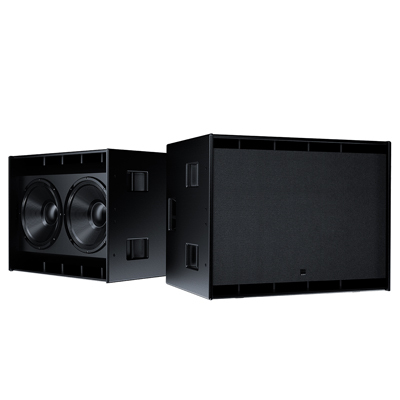 The ML 28 system is designed for use with conventional loudspeakers as well as line array systems manufactured by Amadeus, including the company’s PMX, UDX and DIVA Series, and includes standard presets that are compatible with all well-known digital crossovers. Pricing on the new ML 28 subwoofer for Europe is € 3999.00 (VAT excluded). Paris, France – July 10, 2013 – Every year in The City of Light on the Summer Solstice, hundreds of thousands of revelers enjoy music at stages and buildings set around picturesque Paris locations at the free “Fete de la Musique” event. Amadeus, based in France, one of the premiere manufacturers of high-end sound reinforcement systems and custom studio speakers, outfitted the EDM stage with live sound at the event for DJ sets by Michael Canitrot, Nico de Andrea, Gregori Klosman and Tristan Garner. Amadeus provided integrated sound reinforcement from stage to audience combining their Amadeus DIVA XL array systems, Amadeus PMX 15 coaxial speaker systems, used as stage monitors and in front-fills, and an exciting new prototype product, the Amadeus MAESTRO subwoofer. The Amadeus MAESTRO subwoofer takes a revolutionary step forward in subwoofer technology and design with a unique combination of both low power handling capacity and ultra high-efficiency with dual high-linear excursion 15-inch horn-loaded speakers mounted in a push-pull mode. At the Fete de la Musique EDM stage, only 8 subwoofers were paired with 2 Lab Gruppen C88:4 amplifiers offering a maximum SPL 155 dB at 25 Hz. 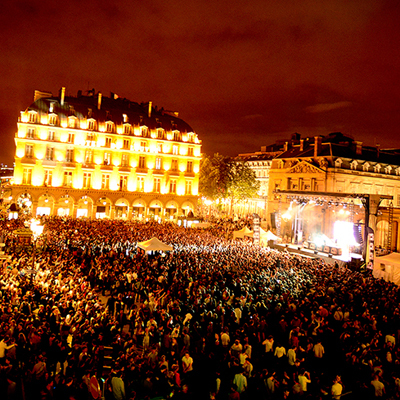 Over ten thousand people attended the EDM event at the stunning Place du Palais Royal in downtown Paris. Amadeus, based in France, one of the premiere manufacturers of high-end sound reinforcement systems and custom studio speakers, has announced the re-launch of its famed UDX Series passive speakers – 30 years after originally releasing their first edition. Including four different models, the UDX Series is perfectly adapted to sound reinforcement applications in concert halls, auditoriums, conference rooms, and theaters. 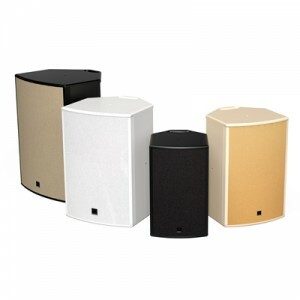 Designed to be included within fixed or long-lasting installations, each UDX speaker system can also be used in touring applications as a stage monitor when fitted with optional accessories. The newly redesigned UDX Series are now available from licensed Amadeus distributors and dealers throughout Europe and Asia, from € 1090.00 to € 1990.00 (VAT excluded), depending on the model.